5 1/2 in. x 11 in. 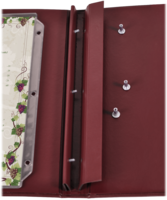 Our Casebound Menu Covers with Screwpost Binding are a good looking, strong, easy-to-clean menu cover. 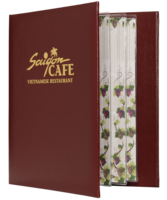 It is the perfect cover to hold multi-page menus with pictures of appetizers, entrees and desserts. 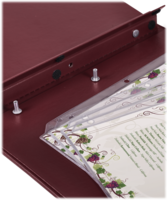 A screw post binding with concealed screws and posts hold up to 27 sheet protectors in place, displaying up to 54 viewing sides. Select from a variety of material options. 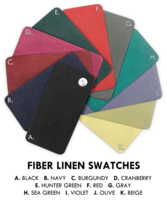 These menu covers are available with rounded or square corners and with or without foam padding. 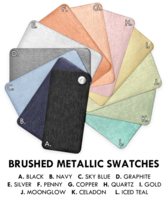 Your logo can be foil stamped on the front cover in a variety of foil color options (minimum order of 15 necessary for decoration). Prices are 'per cover' and include a set of three screws and posts with each cover. Please allow 10 - 15 Working Days Manufacture Time. How Many Pages Will Your Cover Hold? 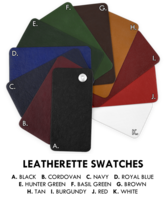 These covers are custom made to fit your requirements. Please indicate the approximate number of sheet protectors you plan to use so that we can make the spine of the book to fit your needs (not too wide and not too narrow) as well as include the proper length screws and posts. Remember that our sheet protectors are clear on both sides for double sided viewing. Select Size5 1/2 in. x 8 1/2 in.4 1/4 in. x 11 in.5 1/2 in. x 11 in.8 1/2 in. x 11 in.8 1/2 in. x 14 in. 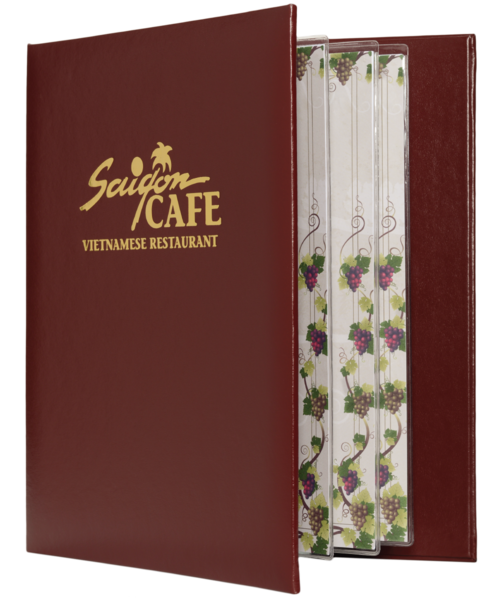 Casebound Menu Covers with a Screwpost Binding for easy addition and removal of menu sheet protectors. Shop online with the Menu Shoppe today.